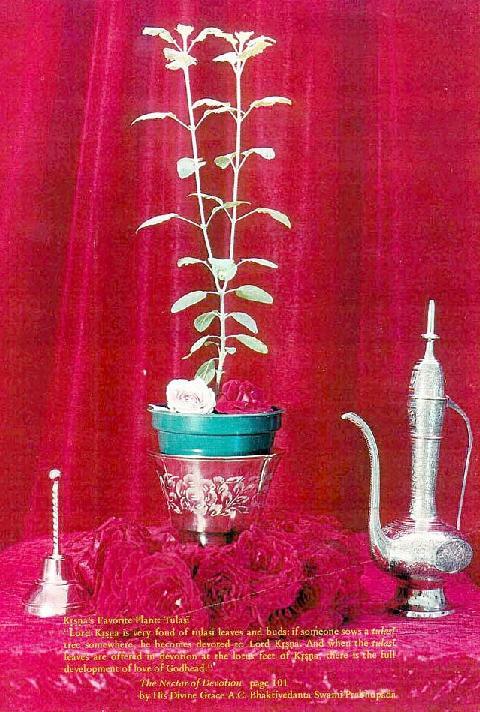 "Tulasi is auspicious in all respects. Simply by seeing, simply by touching, simply by remembering, simply by praying to, simply by bowing before, simply by hearing about or simply by sowing this tree, there is always auspiciousness. Anyone who comes in touch with the tulasi tree in the above-mentioned ways lives eternally in the Vaikuntha world."